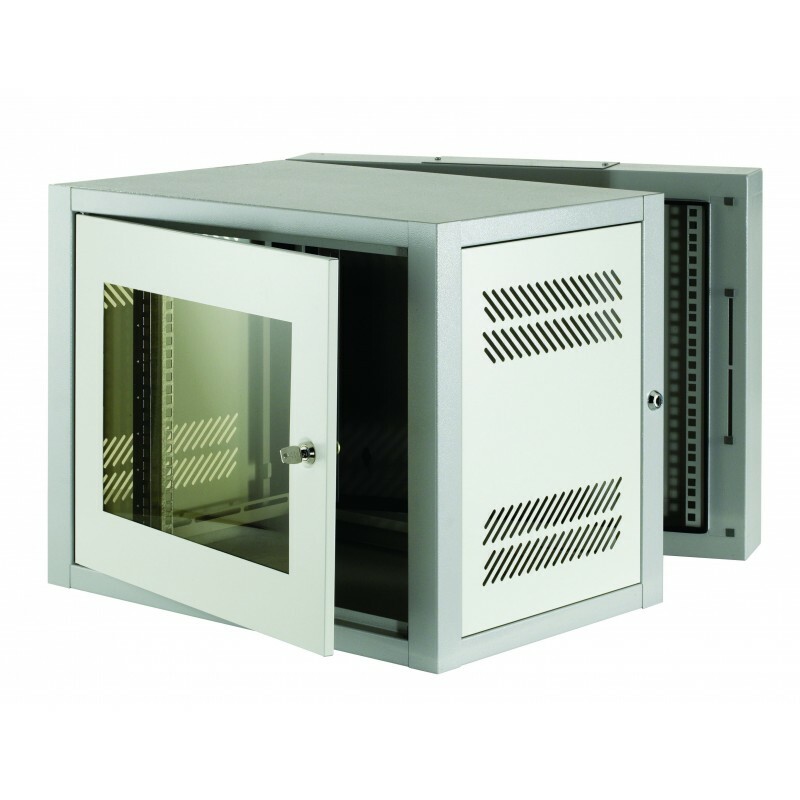 The compact design of the Rax 19” Wall Mounting Cabinets make them ideal for smaller networks and workgroups. A gland plate is situated in the top and bottom of the cabinet, with the 2-part cabinet having plates in both the fixed and hinged sections. The cabinets feature ventilation slots top and bottom; and have a lockable glass front door, and removable sides.